"Our vacation week on the island of Bequia in the Grenadines will remain one of the most pleasant, surprising and memorable. Still untouched by tourism, the laidback atmosphere of Bequia and the friendliness of its inhabitants make this Caribbean island a unique destination not to be missed. For me, the most impressive memory will always be the Letovah Villa. Located on Mt. 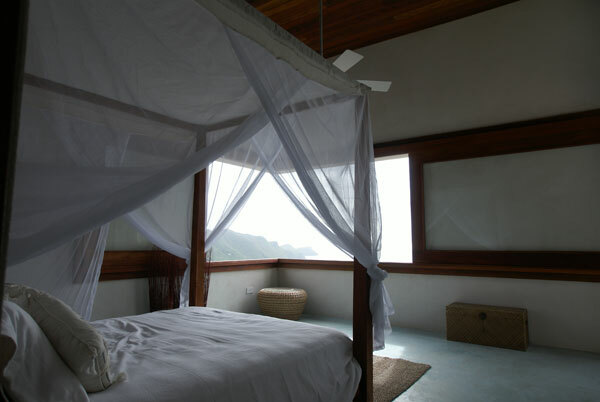 Pleasant, the villa sits on the mountain top at one of the highest points of the island overlooking both sides of the island. The 360 views (almost) from the house are amazing. The view facing the Bequia bays with its sunsets, cruise ships, sailboats (I counted over 70), beaches and the never-ending sea is breathtaking. 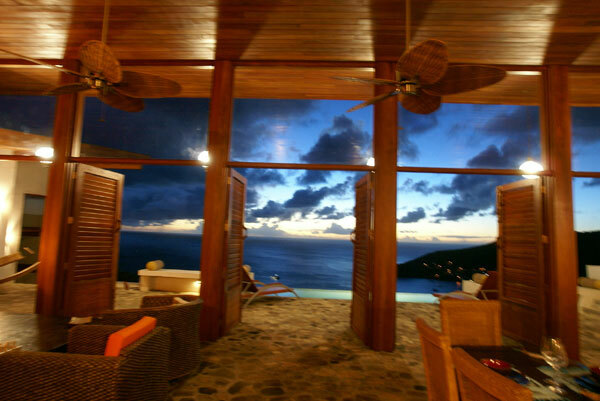 The openness of the villa makes the view part of the house. Every morning waking up or every night coming back to the house I would stay still a few minutes admiring this unique sight. 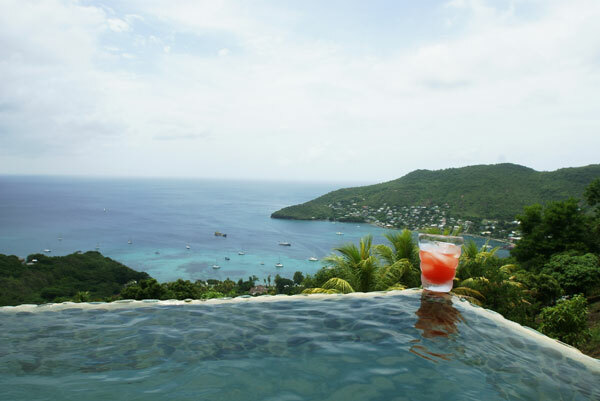 The quality and luxury of the villa, the beautiful woodwork… and the Rum punches in the pool overlooking the bay, make us want to go back to this amazing hidden destination tomorrow!" 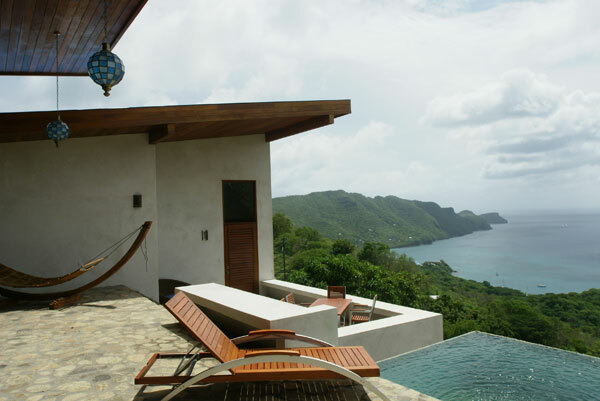 "Visiting Bequia for the first time, I loved our stay at Letovah Villa. 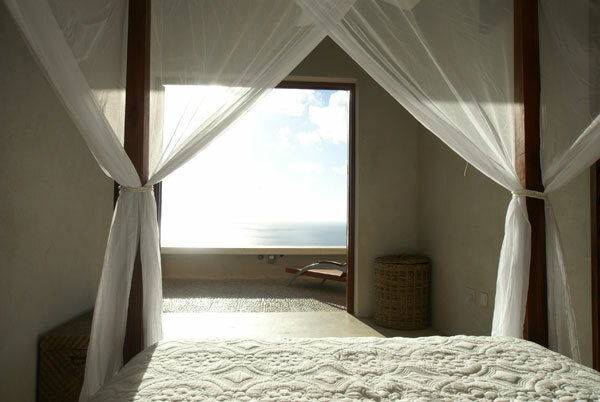 It's very private, with incredible views and Balinese architecture that grabbed us. 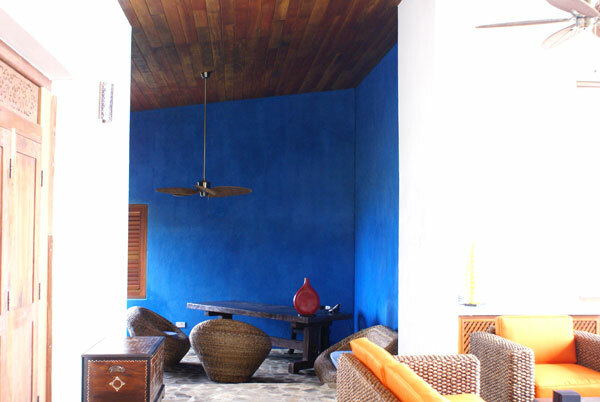 Then the relaxation set in with the feng shui balance and luxurious touches. In the evenings, the sunsets over the ocean are dramatic. Meanwhile all day there is a nice breeze, and we kept the house open to enjoy the views and comfortable temperature. After our week long stay I thought about all the first rate luxuries that tie in with nature: amazing views on all sides, no need for a/c, solar power heated water ... it was very rejuvenating. We definitely plan to return!" "Having reserved the villa over 8 months before our Christmas Holiday it was fantastic to finally arrive and see the absolutely stunning panoramic view overlooking the harbor. We were greeted with rum punch's by the ever helpful and friendly Ellie who gave us a villa tour after which we definitely realized that we had chosen a truly magical location on my favorite island of Bequia. It really does feel like you are on top of the island as you watch the boats of all types and sizes go to and from the harbor from the open living area and outdoor terraces. Island holidays to us are all about open spaces and the villa with the many different 'living' areas both internal and external and bedrooms all opening onto the different views is the perfect layout. It was easy to relax unwind at such a wonderful location and we can think of no better place to stay on our special little island."